On August 8, two supersonic US B1-B Lancer bombers flanked by Japanese and South Korean jets conducted a pair of air drills over the course of 10 hours off the Korean peninsula, near southern Kyushu island, in an apparent show of force against Pyongyang. The provocative act could mark a dangerous new stage in the ongoing fracas. 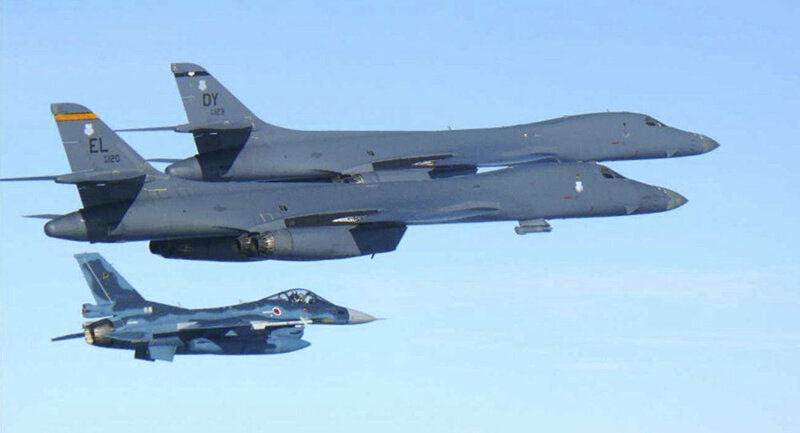 In the first exercise, the B1-Bs were joined by two Japanese F-2 jet fighters — in the second, the bombers conducted a separate exercise with South Korea later. The nuclear-capable bombers flew from Andersen Air Force Base in the Pacific island of Guam. B1-B overflights have frequently followed North Korean missile launches and nuclear tests, and the Strategic Force of the Korean People's Army — in charge of North Korea's nuclear and conventional strategic missiles — said such flyovers "get on the nerves" of the Kim Jong-un's government. In response, Pyongyang has threatened to strike if the US continues its tough stance over Pyongyang's repeated ballistic missile tests. The strike would be executed in a "multi-current and consecutive" manner, with "enveloping fire" suppressing major US military bases on the island territory. Dr. Stephen Hoadley, Associate Professor of Politics and International Relations at the University of Auckland and Honorary Captain of the Royal New Zealand Navy, notes menacing warnings have often issued from Pyongyang in the past — what's new is the "possibility" of an intercontinental strike. "In April, Australian analysts were saying North Korea was at least two or three years away from intercontinental missile capability, and even longer from being able to equip them with operational warheads. 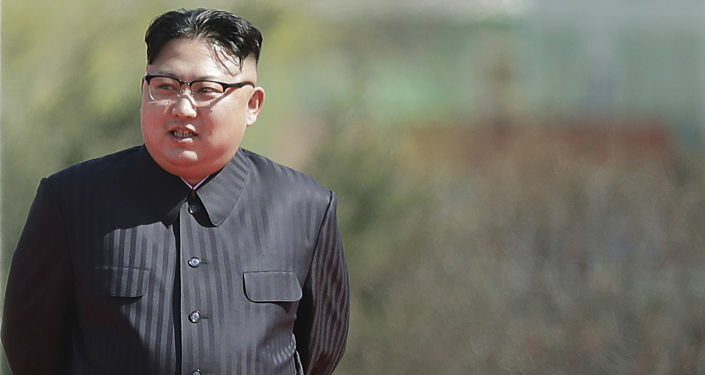 Just a few months later, we find these estimates were wrong and North Korea has made much greater progress than feared or hoped," Dr. Hoadley told Sputnik. Nonetheless, he believes a North Korean first strike is "very unlikely" — anyone in the country with any awareness of the US' retaliatory capabilities would understand the move would be "totally irrational." "Instead, what Pyongyang is saying is that if Washington brings greater pressure upon them — either economic or military — the country can strike back and create much damage. It's partly a hollow threat, partly bravado, partly directed at the North Korean population, who do believe the US is about to attack and conquer the country," Dr. Hoadley continued. The prospect of a US strike on the country is equally unrealistic, he feels, as the "war weary" US is not prepared to make the "enormous sacrifices" necessary. "I don't think the US sanctions will stop the missile program. They've consistently made clear possessing nuclear weapons is non-negotiable — the prestige and legitimacy of the regime depends on nuclear weapons capability. They may however induce a pause in which a negotiating process could take place," Dr. Hoadley concluded. Guam Governor Eddie Calvo also dismissed the threats, saying defenses are in place strategically to protect the region and its 160,000 inhabitants against "any eventuality." The threat to attack Guam is not without stimulus — as the bombers were swooping upon the peninsula, US President Donald Trump said North Korea would be met with "fire and fury like the world has never seen" if its leaders did not cease making "threats" to the US. The suggestion was divisive in the US itself, with Ranking Member of the House Committee on Foreign Affairs Eliot Engel saying the remarks undermined US security. Almost ever since Trump took office, tensions between Pyongyang and Washington, invariably far from cordial since the conclusion of the Korean War, have reached a dangerous and incendiary nadir. Erroneous reports that the USS Carl Vinson supercarrier had been deployed to the Sea of Japan, heading towards North Korea in April, led North Korea's deputy United Nations Ambassador to accuse the US of turning the Korean peninsula into "the world's biggest hotspot" and stated North Korea was "ready to declare war" if the country's forces were attacked. Later that month, Trump stated said there was a chance of a "major, major conflict" between the two countries. In July 2017, Secretary of State Rex Tillerson authorized a "Geographical Travel Restriction" banning Americans from entering North Korea in response to the death of Otto Warmbier, a 20-year-old US citizen. He was detained at Pyongyang International Airport after allegedly attempting to steal a propaganda banner from his hotel in March 2016, and was sentenced to 15 years of hard labor. Released in June 2017 after falling into a coma-like state, he died a few days after being repatriated to the USA. As the world trembles at the increasingly inflammatory antagonism between the two states, Lockheed Martin chiefs may be secretly celebrating — the Pentagon's top weapons supplier (the US government accounted for 70 percent of the firm's revenue in 2016) said August 8 that its customers are ever-keener to acquire missile defense systems. On August 9, the company's shares were up nearly eight percent since North Korea's July 4 long-range missile test, and 20 percent year-to-date.